One Financial Plaza is one of downtown Ft. Lauderdale most recognizable landmark office building encompassing one city block. The project design provides additional hotel and residential towers. This mixed-use project will include 200-key hotel tower, 300 residential units, 220,000 sq. ft. of office and 25,000 sq. ft. of retail & commercial space. Provided planning and landscape architecture services culminating with an approved master plan. 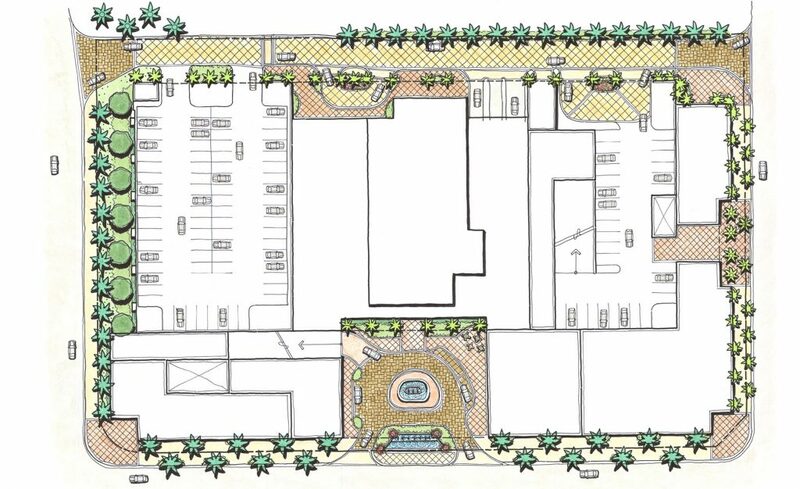 The plans provided design continuity integrating the proposed streetscape into the existing framework of the Commercial Business District (CBD). The scope of work also included planting and hardscape design for the surrounding streets, hotel tower, residential tower and office tower. All three towers share a signature drop-off area anchored with a grand water feature.